Click Here to Buy More Coins! The gameplay looks similar to 'Apples to Apples' or 'Cards Against Humanity'. Players start a comic and the judge picks the winner who had the best punchline. 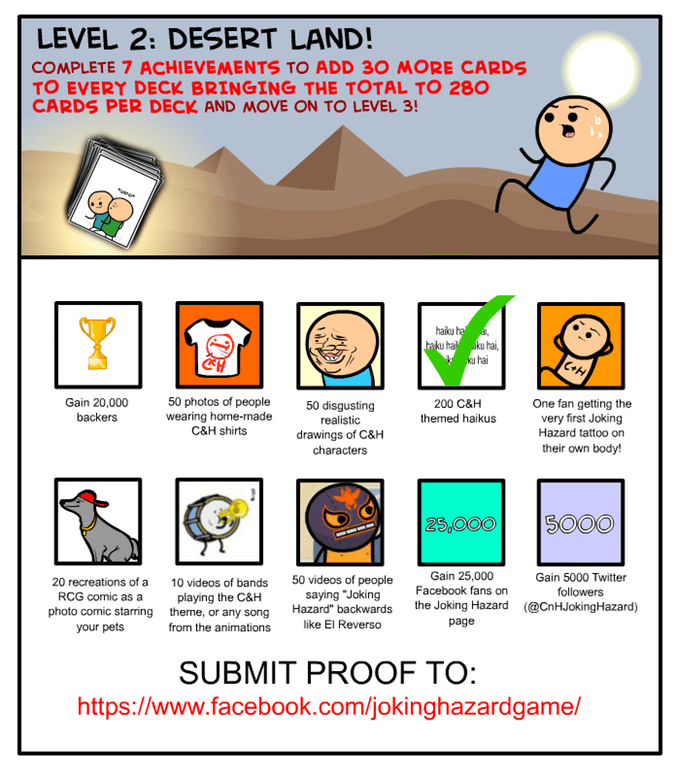 The base game will include 250 cards but they've added a list of tasks for fans to complete to help them meet a stretch goal that will add 30 more cards to every deck. So far they have met $635,555 of their $10,000 goal. They've already included a 10 card booster pack to every reward and with 27 days to go, the extra stretch goal doesn't seem unrealistic. My experience making a videogame in a 72 hours game jam.